Linda studied Visual Art at City Art Institute in Paddington NSW and taught Visual Art Education at tertiary level for many years. She has participated in national and international festivals - the Venice Biennale, the Sydney Fringe Biennale, the Sydney Festival and the Women and Arts Festival. She has facilitated community art projects in sculpture, environmental installation, photography, writing and performance art; developing art projects for children in schools, youth groups, people in isolated rural areas and women in prison. Working en plein air, using graphite and pastels, her current work captures the essence of a scene. 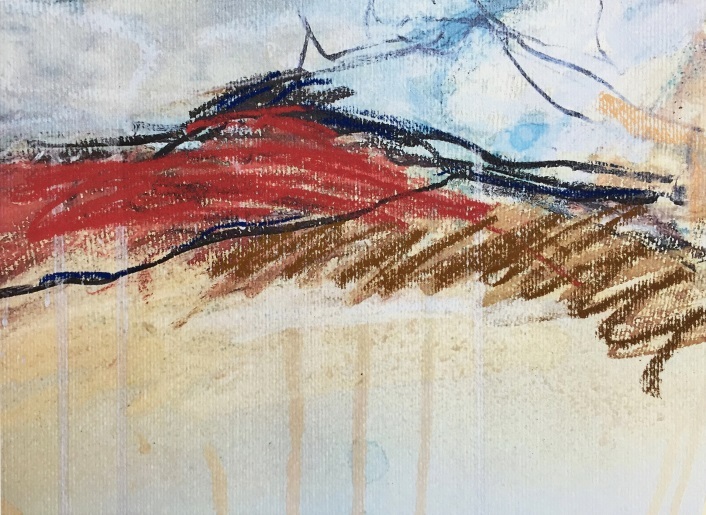 Back in the studio she takes segments of these works and using mixed media, creates abstract references to the landscape. Her latest works, from March to June 2018, are views from the foreshore walk around Port Elliott.